When it comes to CoilOver coil springs, RideTech supplies Hyperco Hypercoils exclusively. 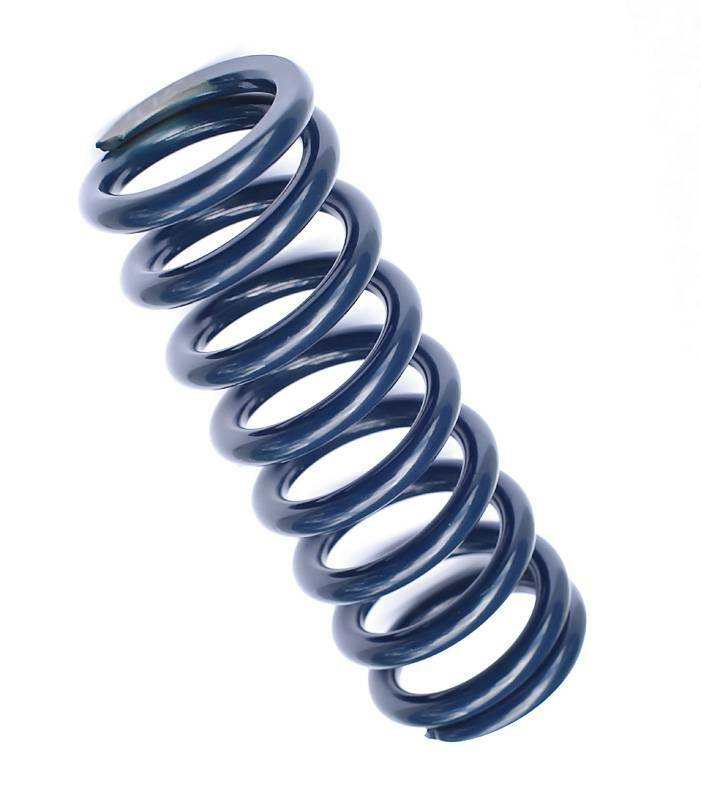 Available in all popular lengths and spring rates, Hypercoils are manufactured from high tensile chrome silicon steel -- the highest grade spring material available. The high tensile steel wire is lighter and allows additional travel before reaching coil-bind. Hyperco's advanced engineering produces springs that achieve the same length and rate with fewer coils than other brands. In many cases, Hypercoils use three less coils and smaller diameter wire (.480" vs. .510"). This allows for an additional 1.8" of compression (6.4" vs. 4.6") which equates to better travel. During the manufacturing process, Hypercoils undergo two separate magnaflux inspections to ensure that all springs are free from the surface imperfections that might lead to early failure. Hyperco employs a unique combination of state-of-the-art CNC equipment along with small town craftsmanship to produce the finest coil springs available anywhere in the world. Choose your 14" coil springs using the selector above.